This seminar request form is specifically for those interested in hosting CPYU's Tackling The Tough Stuff seminar. Due to the large number of requests we receive for on-site speaking and seminar engagements, the Center for Parent/Youth Understanding has established a screening process to help us discern and manage our seminar/speaking schedule. While we would like to be able to fulfill all speaking/seminar requests, we are unable to do so. In order to allow our staff an opportunity to give prayerful and serious consideration to your request, we are asking you to complete the Seminar Request Form in its entirety. After receiving your completed form, we will contact you regarding seminar/speaker availability for your requested dates. 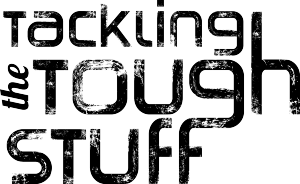 Thanks for your interest in hosting Tackling The Tough Stuff! The following dates are available to host the Tackling The Tough Stuff seminar. We will fill the dates on a first come, first served basis. Check as many dates as you are available to host the event. Available dates are subject to change. How did you hear about CPYU's Tackling The Tough Stuff seminar?